This is my very favorite pasta salad recipe. 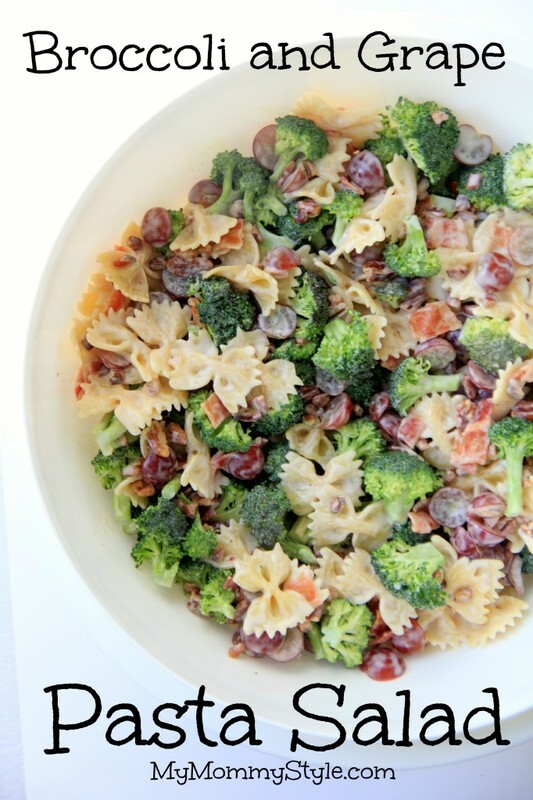 If you love broccoli salads or pasta salads you will love this one. The dressing is sweet and flavorful and tastes wonderful with the broccoli. It also pairs well with the sweet crunchy grapes. This is a pretty simple pasta salad to put together. The time consuming part is chopping the broccoli and halving the grapes. I buy bags of broccoli florets from Costco and that helps with the prep time. This also feeds a big crowd, but don’t hope for left overs because there rarely are any! Enjoy! Meanwhile, cut broccoli florets from stems, and and chop into small bite sized pieces. Linked up with Buns In My Oven, Katherine’s Corner, Saving 4 Six, The Pin Junkie and Tidy Mom.